Our second half of the Hardsurface Modeling 2 class we spent on a concept art of our choice. I went with a mechanical space helmet by Benoit Godde. 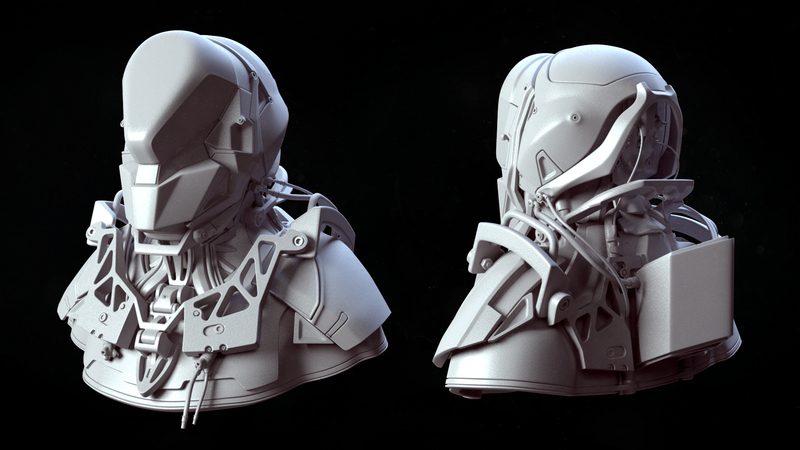 It was tough to align all the different panels and design parts not visible in the concept piece while modeling. 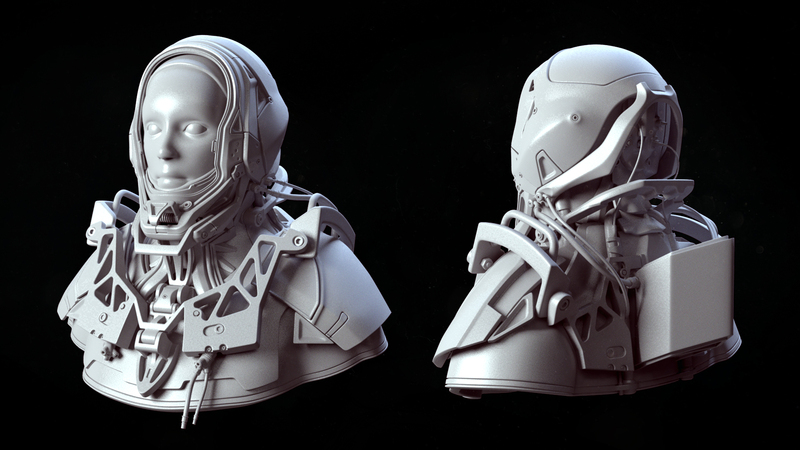 Next term I’m planning on texturing this and put some scratches on.